Wondering how great life could be while seated in a brand new Jeep SUV? Wonder no more with help from Watson Benzie Chrysler near Traverse City, Michigan. Drivers will love the way a Jeep lease gets you into a new model year after year, ensuring you're able to take advantage if you put on less miles than the average driver. Flexible monthly payments that are often lower than with a vehicle purchase are also on the table with a Jeep lease. Contact our sales team today to learn more. The entire lineup is at your fingertips with a Jeep lease from Watson Benzie Chrysler near Traverse City, MI. That means the iconic Jeep Wrangler is here to give you the ultimate in warm-weather drives and seasonal control down the road less travelled. 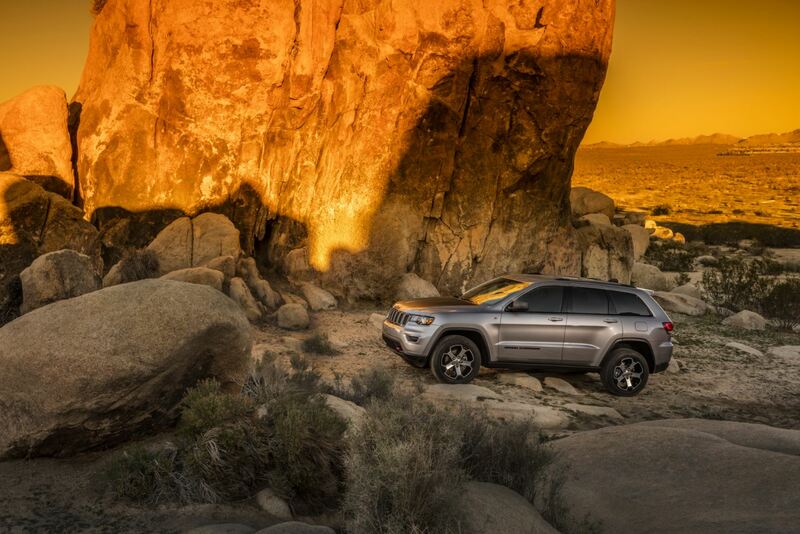 More space means the Jeep Grand Cherokee is right for you, fitted with extra seating, luxury design lines, and all the features you'd expect from the most awarded SUV of all time. Finally we have the Jeep Renegade. It's built with the modern adventurer in mind so you can take your morning commute to the next level. Test drive any of our models today by stopping by our convenient location. In the end we know price is important, and that's what helps make our Jeep lease options such a great fit for so many drivers. Come by Watson Benzie Chrysler near Traverse City, MI and speak with a finance guru of ours to see how we'll work with your credit history to secure a low-rate auto loan. We'll also make sure you get the best possible deal by assessing your trade-in value ourselves and estimating your payment before you sign the dotted line.